The latest addition to our seed catalog is at the same time our fastest flowering strain. 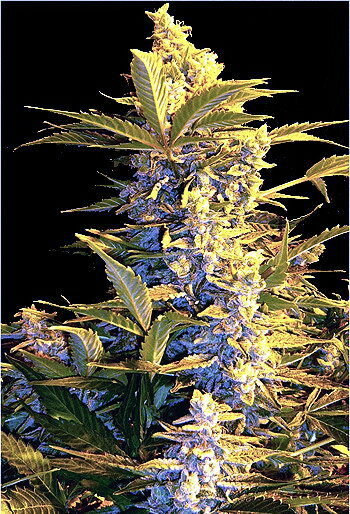 Speed Queen is a stocky and tough indica with a thick main stem (green or with distinct scarlet coloring) and fleshy leaves. She carries compact and resiny buds that have great “bag appeal” after drying. One pheno has the delicious aroma of orange and citrus. The other mixes this freshness with a more pungent/skunky note. This indica will fit well into grow spaces where shorter plants are required. Outdoor cultivation is possible up to the 45° latitude or in a greenhouse. To a large extent the bud leaves are covered in THC glands, but harvesting is a quick operation since all buds remain nice and chunky. Speed Queen is not finicky or difficult to grow. For optimal growth (for all our strains) we recommend that you read our online article on how best to fertilize. Mandala strains utilize nutrients very efficiently and grow well with low levels of feeding on quality soil. Due to her vigor and quick flowering time this strain is perfect for novice gardeners and sea of green cultivation that aims for maximum number of crops per year. Stoned or High: The “surfers” choice - a stimulating, and balanced indica buzz that does not put you to sleep. Pleasantly relaxing yet leaves plenty of energy for social activities and is a great daytime grass. 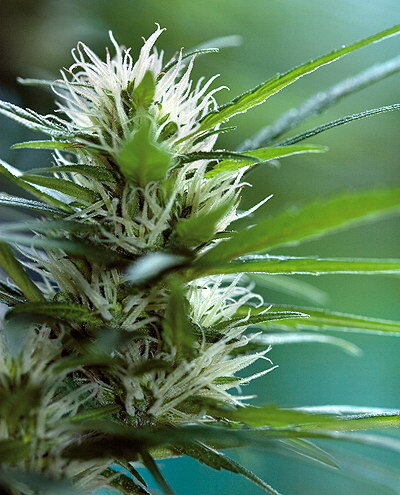 Mandala Seeds Speed Queen cannabis strain, their fastest flowering strain, quick harvesting due to chunky buds. Great for sea of green set ups aiming for max no crops per year.